President Trump has turned into quite the promotional tool for Mexican sports fans. First, the Mexican national soccer team used Trump in a promotional ad to rile the fan base prior to a game against Team USA. Now, boxing legend Oscar De La Hoya will use Trump, and the wall he would like to build, in order to promote an upcoming boxing match. The fight will take place over the Cinco de Mayo weekend, and will feature Saul “Canelo” Alvarez versus Julio Cesar Chavez Jr. The ad will show both fighters crashing through a wall, specifically President Trump’s proposed wall along the southern border with Mexico. The ad will run on DirecTV and Dish Network. 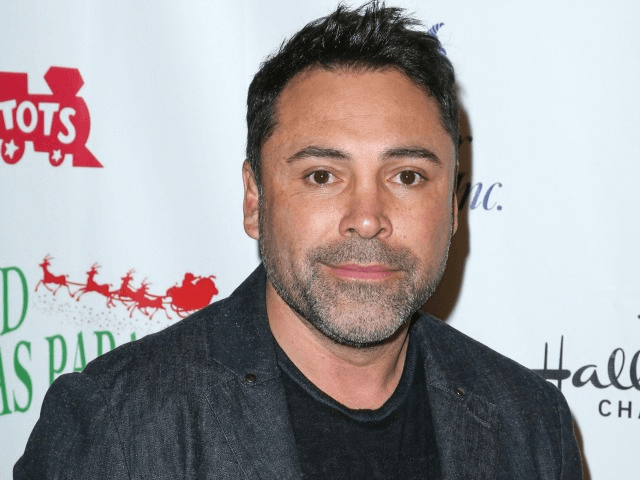 According to the Washington Post, De La Hoya explained the reasoning behind the ad in a phone interview, “The idea of a wall was a direct hit to Donald Trump. Obviously, given what’ taken place, and given the comments that Trump has made had really impacted a lot of people and have rubbed many people the wrong way. Here, De La Hoya references comments made by Trump when he announced his candidacy for president in the summer of 2015. Trump pointed out, correctly, that Mexico has allowed rapists, drug dealers, and other kinds of criminals to cross the border into the U.S. However, Trump didn’t say that all Mexicans coming over the border were rapists and drug dealers. Instead, he pointed out that there are “good people” among them as well, a fact conveniently omitted by De La Hoya. Nevertheless, we get it: Trump says things other American politicians aren’t willing to say. It makes him a lightning rod, a focus of anger, and a go-to source when you need to gin up instant national angst. But, why do you need to gin up instant national angst or anger in a fight between two Mexicans? The Mexican national team wanting to use Trump in an ad to fire people up before playing Team USA is understandable, given that was a game against America. But how does the America figure into this? In fact, not only are neither of the fighters American, but Cinco de Mayo has nothing to do with the United States either. Though, it’s hard to get people excited about a game or a fight involving France.